An exceptional musician renowned for her fluid technique, gorgeous tone, and brilliant, expressive performances, cellist Hai-Ye Ni enjoys a distinguished, multi-faceted career as principal cellist of the acclaimed Philadelphia Orchestra, and as a sought-after soloist and chamber musician. A versatile artist whose performances have been praised by the press as "soulfully expressive" (Washington Post) and possessing a "superbly focused sound" (San Francisco Chronicle), Ms. Ni has performed on classical stages around the world, appearing as soloist with such symphony orchestras as Chicago, San Francisco, Vienna Chamber Orchestra, Vancouver, Singapore, the Orchestre National de Paris, Finnish Radio Symphony Orchestra, the Shanghai Symphony, China Philharmonic, and Hong Kong Philharmonic, among others. Her recital credits include the Kennedy Center for the Performing Arts, the Smithsonian Institute, and the Wallace Collection in London. She has collaborated with some of today's foremost artists, including pianists Jean-Yves Thibaudet, Lang Lang, Jeffrey Kahane, and Yefim Bronfman, and violinists Joshua Bell, Gil Shaham, Christian Tetzlaff, and Pinchas Zukerman. Among her festival credits are Ravinia, Marlboro, Santa Fe, Aspen, Spoleto, La Jolla, Kuhmo, and Pablo Casals. In the 2018-2019 season, Ms. Ni will be teaching at Rutgers University's Mason Gross School of Music. Highlight performances of 2015-2016 include the Brahms Double concerto with the Philadelphia Orchestra, and Beethoven Triple concerto with Jean-Ives Thibaudet at Bravo Vail Festival; also the Green Music Center ChamberFest in Sonoma, California and La Jolla SummerFest where she premiered a new piece for cello and piano, Four Perspectives by Marc-Andre Hamelin. Since 2015, Hai-Ye has been an Eastern Scholar, visiting professor at the Shanghai Conservatory. During the 2014-2015 season, Ms. Ni gave a performance of Baroque concerti with the Chamber Orchestra of Philadelphia, where she both played and conducted three concertos by Vivaldi, Tartini, and Haydn C major concertos. She also performed the Tchaikovsky Rococo Variations with the Philadelphia Orchestra, and Tan Dun's Crouching Tiger cello concerto from the Academy Award-winning movie. In 2010, Ms. Ni was featured in the Philadelphia Orchestra's November 12 Sound Waves multimedia concert as soloist in composer Tan Dun's The Map: Concerto for Cello, Video and Orchestra, and she performed the piece at the World Expo in Shanghai. Ms. Ni gave a recital for the Philadelphia Chamber Music Society with pianist Cecil Licad in 2011. She made her Philadelphia Orchestra debut in January of 2010, performing the Saint-Saëns concerto with Maestro Rafael Fruhbeck de Burgos. Past performances of special note include appearing in concert with pianist Lang Lang on the October 2009 Carnegie Hall series "Ancient Paths, Modern Voices: A Festival Celebrating Chinese Culture". Ms. Ni gave a solo recital at Carnegie Hall's Weill Hall in 2004 featuring works by contemporary female composers Ellen Taaffe Zwilich and Chen Yi. She made her New York Philharmonic solo debut in 2003, performing Haydn's Sinfonia Concertante. 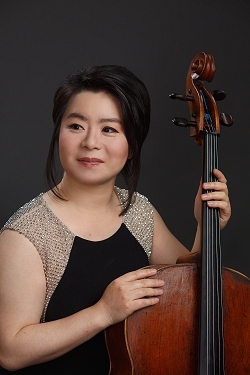 In 1997, Ms. Ni premiered composer Bright Sheng's cello concerto Two Poems in a 14-city U.S. tour, in which she replaced cellist Yo-Yo Ma at his recommendation. As a recording artist, Hai-Ye Ni's recent CD Spirit of Chimes is a collaboration with violinist Cho-Liang Lin and pianist Helen Huang of composer Zhou Long's chamber music for Delos Music. Ms. Ni is featured on the March 2008 Ondine recording of Shostakovich's Symphony No.5 and Seven Romances on Poems of Alexander Blok with the Philadelphia Orchestra and Christoph Eschenbach. Her 1998 debut solo CD on the Naxos label was named CD of the week by Classic FM London. 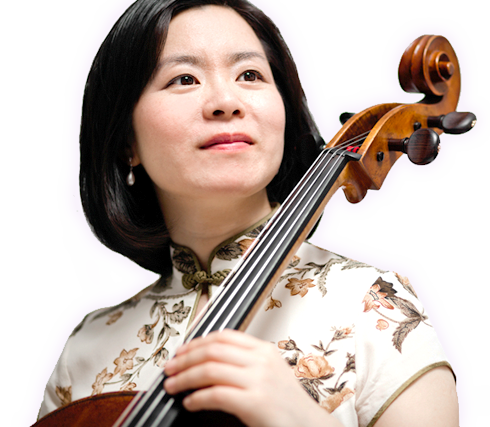 Ms. Ni was a jury member of the V Paulo International Cello competition in Helsinki, Finland in April 2013, and has given masterclasses at Curtis, Temple University, Mannes School, Manhattan School of Music, the Shanghai Conservatory, and the Central Conservatory in Beijing. She has also been featured on the ABC television show 20/20, NPR, The Strad magazine, and has been the cover story of Strings magazine. Considered among the most accomplished cellists of her generation, Ms. Ni first came to national attention in 1990 when she won first prize at the Naumburg International Cello Competition, and as a result, made her greatly acclaimed Alice Tully Hall debut in 1991. She became principal cellist of the Philadelphia Orchestra in 2006. Prior to that, Ms. Ni held the position of associate principal cellist of the New York Philharmonic (1999-2006), and was also a member of the Chamber Music Society of Lincoln Center's Chamber Music Society Two. Other honors and awards to her credit include a 2001 Avery Fisher Career Grant, second prize in the 1997 Rostropovich Competition (France), first prize in the 1996 International Paulo Cello Competition (Finland), and the 1994 Best Performance of Tchaikovsky prize at the International Tchaikovsky Competition (Russia). 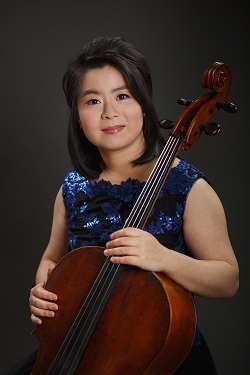 Hai-Ye Ni was born in Shanghai, China and began her cello studies with her mother and the Shanghai Conservatory of Music. She also studied with Irene Sharp at the San Francisco Conservatory of Music, Joel Krosnick at The Juilliard School, and with William Pleeth in London. Copyright © 2014 Hai-Ye Ni. All Rights Reserved.